As I've sacrificed Facebook for the month of November, so far I really haven't missed it. I haven't missed scrolling through what everyone's having for dinner, where they are, what they're doing, or where they're going. I've really enjoyed the freedom in not knowing everything about everybody. I have a life that I love and I enjoy living it. I enjoy doing life in real time with people face to face. It's so much better than chasing people on Facebook to catch up. I love to meet up with friends, family, or new friends over lunch, coffee, or just hanging out - that's what I'm talking about - in real time and real conversation. Real hugs, and visiting in real places. It doesn't get any better than that. Just good old fashion conversation is all it takes to stimulate and cultivate real relationships. I do enjoy "visiting" with friends who are far away or those who I can only meet with through technology, but I'm talking about the joy of spending more time pouring ourselves into our real-time relationships whenever and wherever we can. Keeping up with hundreds or thousands of "friends" is not only frustrating and time consuming, it's impossible. We can't know everything about everybody and we certainly don't need to. So this November, I'm spending a little more time with family and friends in real places, enjoying the freedom of being unplugged, and focusing on the sphere of influence God has given me to display His glory, His love, and His gospel in real time. During this Thanksgiving season, why don't you give it a try? In a blog post sometime ago I wrote about how, at random times when I glance at a clock, the digital numbers 11:11 appear. It shows up on the car clock, the cell phone, the microwave, the clock by the bed, on the TV. It's become almost comical with me and my husband as to how often I look up and the time is 11:11. The biblical meaning for the number 11 is disorder or chaos. Over 10 years ago, a magazine called 11:11 was given to me to examine. It's focus was all about the importance of self: self-awareness, self-meditation, self- reliance, etc., which is totally opposite from the teachings of Christ. In Luke 9:23 Christ says, to follow Him we must deny self and take up our crosses daily. Hey! You're Not the Boss of Me! 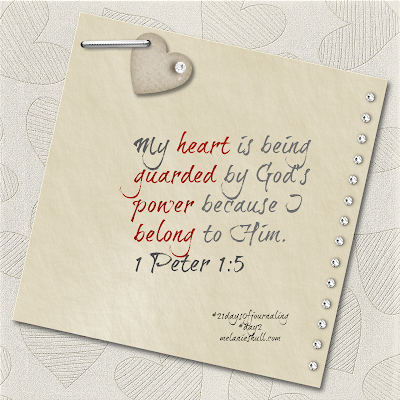 It dawned on me this morning as I read a journaling prompt for today that all of us try really hard to keep our hearts safe. Yes, we are to guard our hearts as Proverbs 4:23 tells us, but it's not referring to protecting our hearts from suffering, but rather it's referring to not succumbing to the grip of sin in the midst of life's heartaches and pain. And as God's children, we have the power within us to say, "No!" to sin. Have you ever said or heard someone else say, "You're not the boss of me!"? There is one, though, to whom we can actually say, "You're not the boss of me!" and say it with bombastic authority. Yep! Satan! The number one enemy of our souls. I've spent a lot of time in 1 Peter chapter 1 this year, and verses 3-9 have grabbed my heart and have not let go. 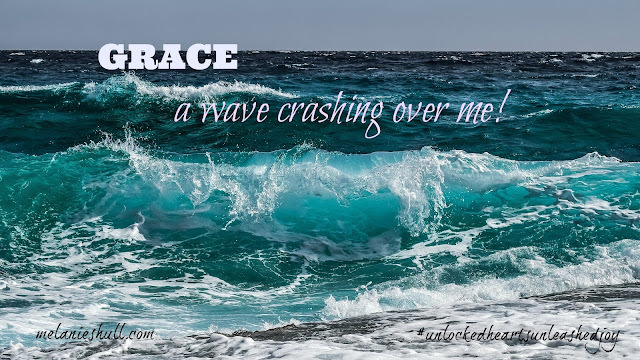 Sitting in my chair of many colors at the ocean's edge, I think about how Grace is like a wave crashing over me. This amazing, undeserved gift of the Divine rushes in like the salty sea. Sometimes it so overwhelms me, it knocks me to my knees. A wave that never stops. With every crash of the waves, I see God washing over me with His profound love, mercy, and kindness. The continual movement of water is a clear reminder that His grace never ends. when we're unfaithful, God is still faithful. But I will not withdraw My faithful love from him or betray My faithfulness (Psalm 89:33). 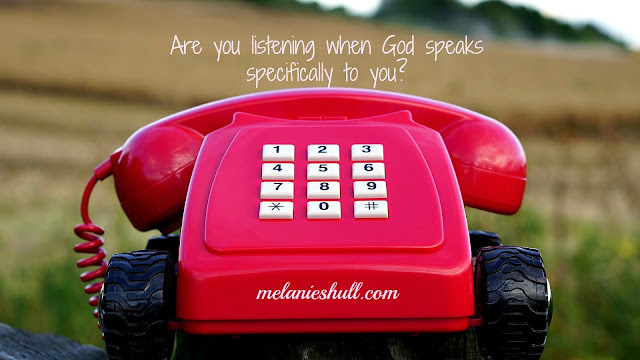 when we're unloveable, God is still loving. ...because God is love (1 John 4:8b). when we're weak, God is still strong. And He said to me, "My grace is sufficient for you for My strength is made perfect in weakness." When we think we just can't do anymore, God's grace says, "Cease striving."